Ortho Sport & Spine Physicians in Atlanta, Georgia is your trusted source for proven and effective ankle sprain treatment. We are an orthopedic and sports medicine practice that specializes in finding solutions to chronic pain and sports-related conditions and injuries, including ankle strains and ankle sprains. Our double board certified physicians are committed to using the most advanced, minimally invasive treatment methods possible to help individuals with ankle sprains and strains recover from their injuries so they can return to an active and healthy lifestyle. Our practice caters to athletes ranging from elite and professional athletes to enthusiasts and weekend warriors. If you have strained or sprained your ankle, we can help you recover from your injury so you can get back to participating in the sports and other activities that you enjoy. Ankle strains and sprains are some of the most common injuries in professional and recreational sports and activities. An ankle sprain is an injury to the ligament. 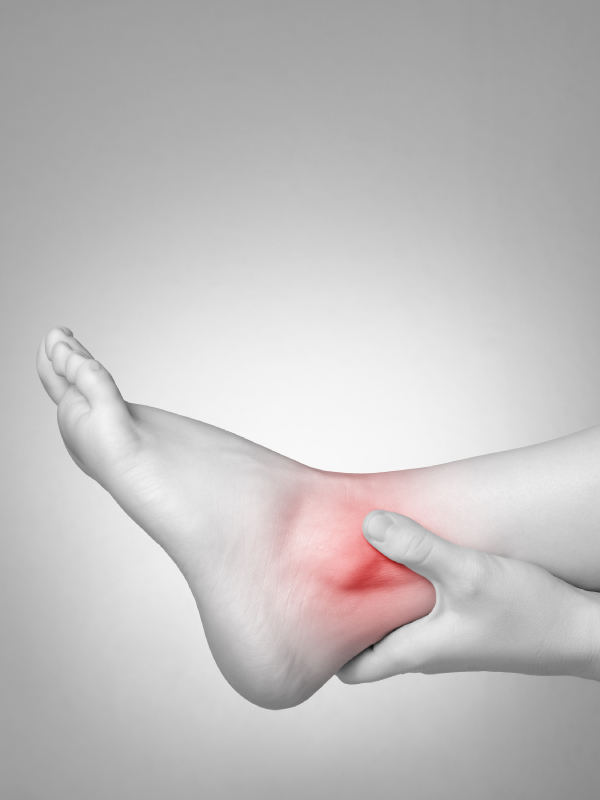 An ankle sprain is an injury to a muscle or a tendon. Both ankle strains and sprains can involve an overstretching or partial or complete tearing of the tissue. Symptoms of an ankle strain or sprain include pain, swelling, muscle weakness, bruising and the loss of functional ability. The symptoms and severity of symptoms can vary widely from patient to patient according to the severity of the injury. If you have injured your ankle, we invite you to schedule a consultation with one of our Interventional Sport physicians. Before recommending an type of treatment plan, we will take the time to discuss your symptoms and your treatment goals, conduct a family and medical history, perform a thorough physical evaluation and order any diagnostic tests that are necessary to accurately pinpoint the source of the problem. Once this process is complete, we will then recommend a customized treatment plan based on your specific needs and goals. Our lower patient-to-provider ratio enables us to give each and every one of our valued patients the time and attention they deserve. Using the most advanced and minimally invasive treatments available, we are able to achieve amazing results for our patients with ankle sprains and strains. For proven and effective treatment for ankle strains and sprains, you can turn to the dedicated team from Ortho Sport & Spine Physicians. If you have injured your ankle, please contact our Atlanta Ankle Sprain Treatment Doctors today to schedule a consultation. For your convenience, we accept most insurance plans and accept several other forms of payment. We look forward to helping you stay active and live your best life!